On March 14th (coincidentally Pi Day! 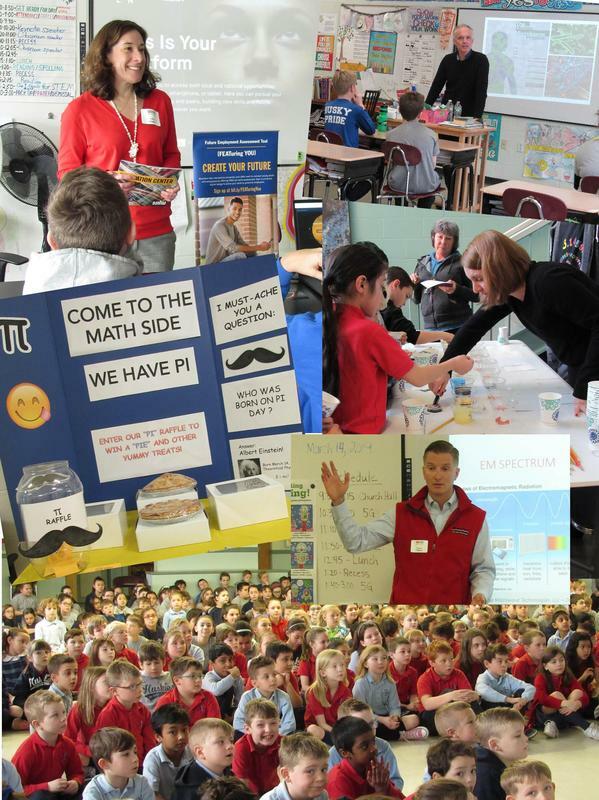 ), 17 speakers joined us for St. Christopher School's 5th annual STEM Day, providing students an opportunity to imagine, explore, and discover the fields of science, technology, engineering and math. The speakers shared their experiences in a wide range of STEM fields. Click here to check out our program and the many accomplished and engaging individuals who inspired our students! Families returned to St. Chris in the evening to look at the different classroom STEM projects and enjoy more STEM activities throughout the building.